In response to the British–Yemeni Society’s call for donations towards the ongoing Yemen Crisis Appeal, the authors of Yemen: Land and People (Al-Uzza Books, 2007 revised edition) offer signed copies of their publication at the discounted price of £ 18.00 (including postage & packaging within the UK; with a £ 10.00 supplement for Europe and £ 10.75 for Rest of the World). For every book sold, £ 3.00 will be donated to the BYS Appeal. Since 2015 the BYS has raised and donated a total of £ 10,552 to both the British Red Cross and Doctors Without Borders (MSF) UK in support of their work in Yemen. At such a critical time in its history, Jane Taylor’s photographs and Sarah Searight’s text crucially remind us of the extraordinary beauty and rich heritage of Arabia Felix. The book is a record of the dignity of the Yemeni people and their intrinsic decorative sense within that magnificent landscape, as well as being a prayer for what that country must once again become. With a foreword by Tim Mackintosh-Smith and text on Soqotra by Miranda Morris. Those wishing to obtain the book, please send in your order by e-mail to yemenbook2007@gmail.com. Payment can be arranged either by cheque or bank transfer. 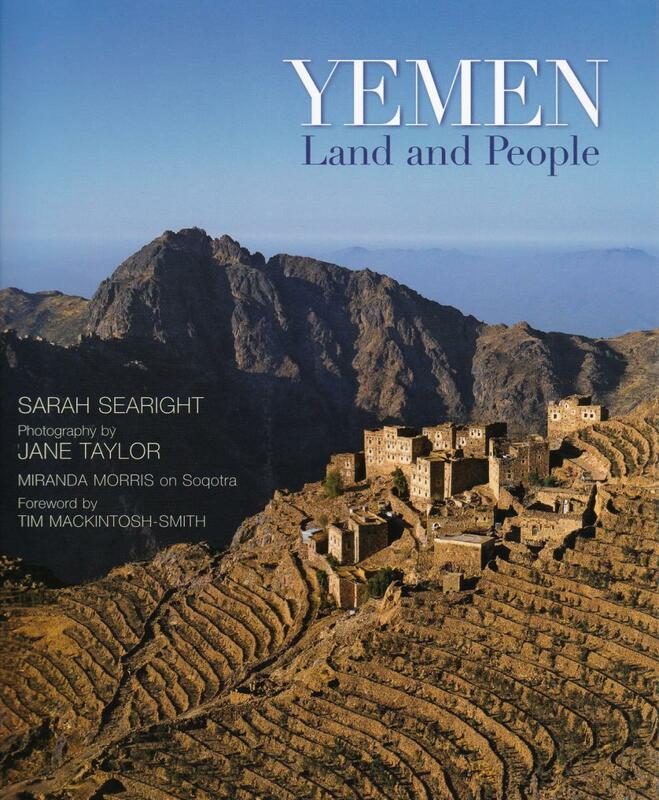 Yemen: Land and People highlights in words and pictures the culture and history of this remarkable country. Known to the Romans as ‘Arabia Felix’ for its fertility, it lies in the path of the monsoon rains that water its highlands as well as on the trade routes between the Indian Ocean and the Mediterranean. Both account for the rich variety of people and customs. ‘Fair in its water and its air’, wrote an earlier traveller. The book takes the reader on a geographical and historical tour through the ancient kingdoms that fringe the desert, illuminates the medieval world of the central and southern highlands, and explores the links with the wider world developed from Aden and the Hadhramaut. Superbly illustrated by Jane Taylor’s photographs, with a foreword by Tim Mackintosh-Smith and essay on the Indian Ocean island of Soqotra by anthropologist Miranda Morris, this book will surely inspire its readers to visit Yemen for themselves.